Bhadra river passes through one of the eighth densest forests in the world. River Bhadra originates in the western ghats across Deccan Plateau through the Bhadra Wildlife Sanctuary. 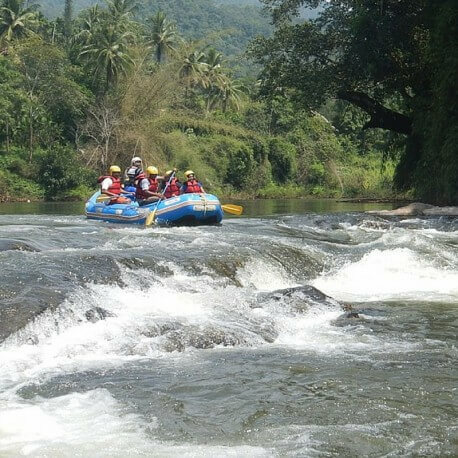 Bhadra river rafting is considered as one of the best and scenic white water rafting sections of south India. Rafting is open during June to October, when the water level of the river is very good. The total duration of white water rafting in Bhadra river ranges from one to half hour to three hour depending on the water level on that particular day. Bhadra Wildlife Sanctuary is situated in the midst of Western Ghats in Chikmagalur and Shimoga. It covers an area of 492.46kms. It is surrounded by hills of the Western Ghats on all sides. Bhadra Wildlife Sanctuary gets its name from river Bhadra. Bhadra Wildlife Sanctuary gets its name from river Bhadra. 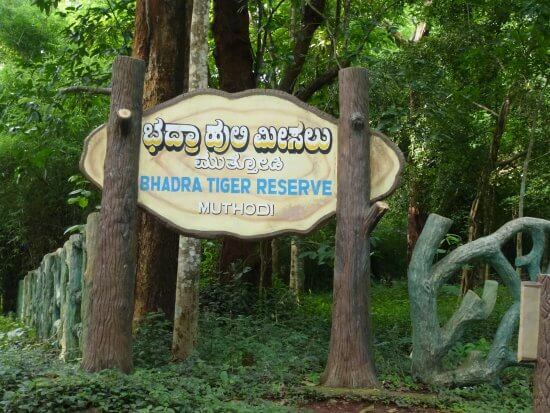 Bhadra Wildlife Sanctuary is also known as Muthodi Wildlife Sanctuary. Bhadra Sanctuary has a wide range of flora and fauna. More than 120 tree species grow here including Teak, Rosewood etc. Animals is found in the Sanctuary like elephant, gaur, tiger etc. It also has birds like bulbul, Shama, paradise flycatcher etc. Reptiles like crocodile and snakes can also be found here. Activities like Bhadra wildlife Sanctuary includes wildlife viewing on jeeps, water-based adventures, trekking island camping, bird watching and rock climbing. Coffee museum is located in Chikmagalur. The museum was built to reconstruct the thematic display of the history of coffee and the process includes picking, grinding and drying. Apart from coffee tasting experience, it gives an all-inclusive experience. One floor of this museum is dedicated to a gallery with pictures in clean glass classes. There is also a short video presentation. There is also a laboratory, which demonstrates grinding and other processes used in coffee processing. 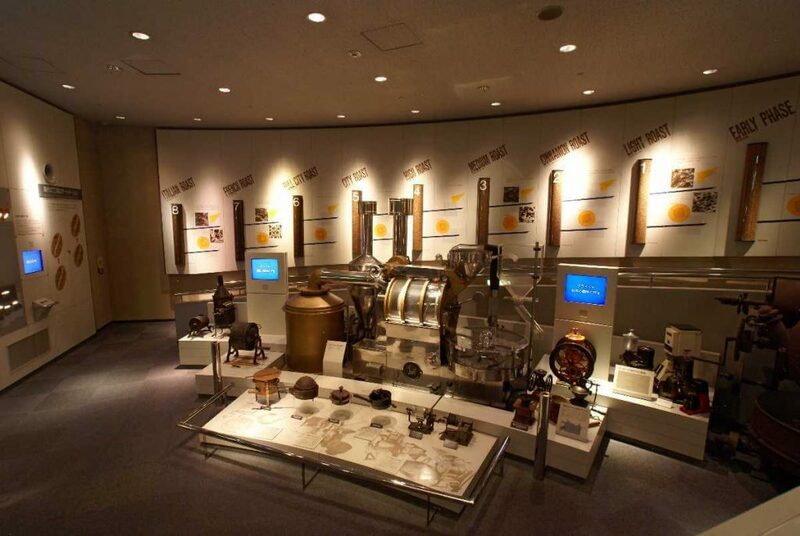 The museum is one of the best description of the world of coffee in world. 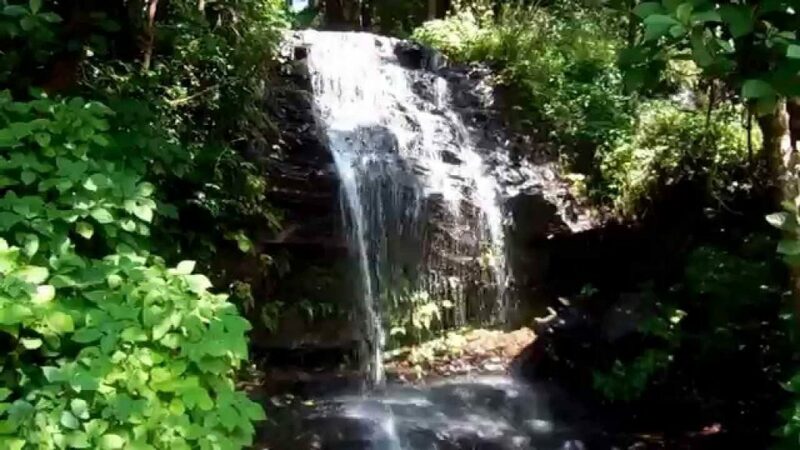 Hebbe waterfall is housed in the Kemmangundi hill station. The water of Hebbe falls comprises medicinal herbs offering healing qualities. This waterfall is situated inside a coffee estate. The waterfall has very beautiful view. The area around the waterfall has dense forest and plenty of coffee plantations. A pool is formed which allows visitors to swim. It is one of the picturesque hill station. Jhari water is situated near Attigundi at a distance of 12km. Jhari waterfall is also known as Buttermilk falls. 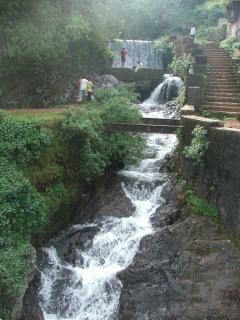 It is one of the famous waterfall in Chickmagalur. The falls is surrounded by dense forests and coffee plantations. This falls is created by the springs generated in the mountains. There is a pool which is at the lower part of the waterfall for the tourist to swim and play in the water. The best season to visit Jhari falls is from August to January. 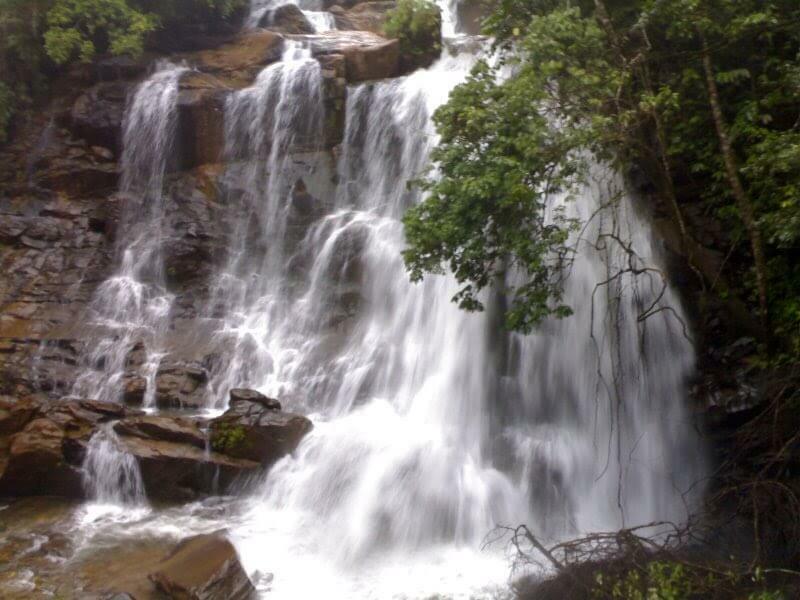 Shanti falls is a small and beautiful water fall situated on the way to Z point in Kemmangundi. The water flows from the top of the hill and reaches down to the valley below. The water from this waterfall remains extremely cold during the hot summer months. It is also a trekking point. It is a steep uphill trek that offers spectacular views of the surrounding from the top. The beauty of the falls attracts visitors and trekkers. Sri Sharadamba Temple is famous Hindu Temple dedicated to goddess Sharada Parmeshwari. The temple is an 8th century temple, founded by Sri Adi Shankaracharya. The best time to visit this temple is during Navratri festivals. The nine days Navratri festival is celebrated here. Tourist can witness beautiful image of the Goddess while entering the temple. A capacious hall supports by pillar with beautiful carvings lies in front of the sanctum. 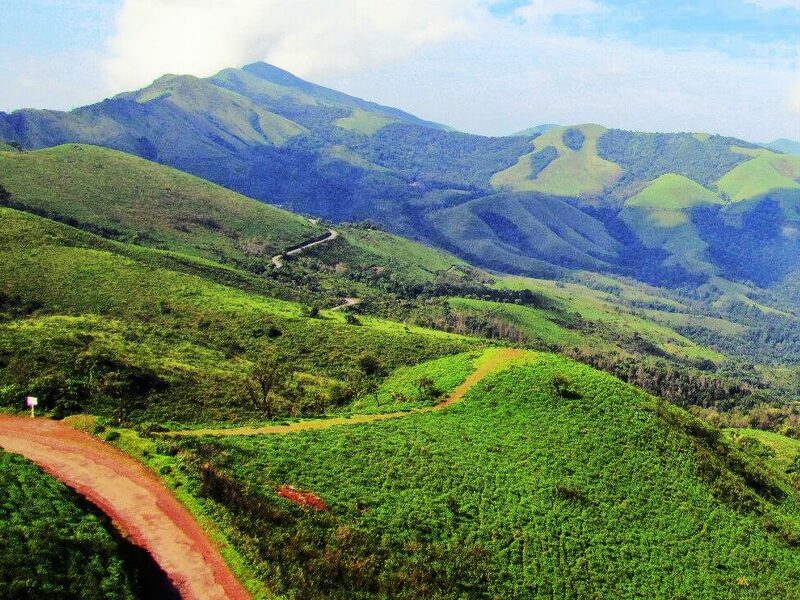 Kemmannugundi is a hill station in Tarikere taluk of Chikmagalur. It is 1434m above sea level. It is also known as Sri Krishnarajendra Hill station Kemmannugundi is a picturesque hill station situated at the Baba Budan range. Kemmannugundi was called Chandra Drona Parvatha. This hill is also used for trekking, mountain trails and other adventure activities. This hill station has beautiful garden, magnificent mountain ranges and valleys. This place has a beautiful rose garden. Kemmanugundi is a place to get away from the heat, dust, crowds, and traffic jams of the cities. 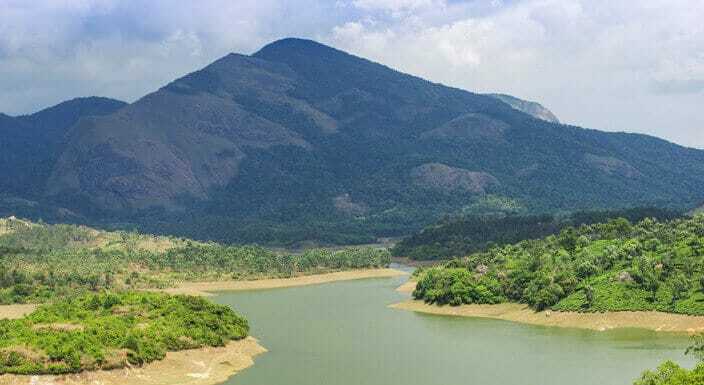 Ayyanakere Lake is also known as Dodda Magoda Kere and is surrounded by beautiful hills. Ayyanakere Lake is an ancient lake situated at the eastern base of Baba Budan range hills. This is the biggest lake in Chikmagalur. This lake was constructed by Rukmangada Raya, a ruler of Sakharayapatna. This lake was built to suppy water for irrigation. Tourists can engage in recreational activities at the lake such as fishing and camping at the lakeside. 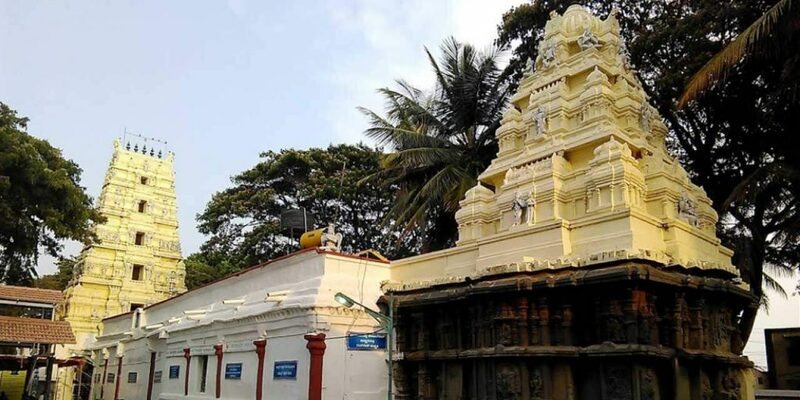 Shakhuni Ranganatha Temple is located nearby. 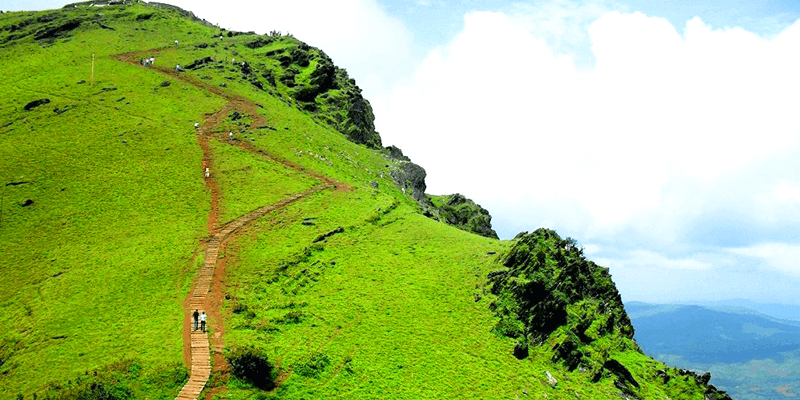 Baba Budangiri hill is situated at situated to the north of Chikmagalur district of Karnataka. Baba Budangiri Hills are famous for their unique forest range in addition to hiking and trekking. Baba Bundangiri is named after the muslim Saint, Baba Budan who used to reside here. This place is also important for Hindus as Dattatreya Petha. There is famous trekking trail between Mullayangiri and Baba Budangiri. Unique mountain flowers called kurinji blooms in these hill ranges once every 12 years. The best time to visit Baba Budangiri is from September to Early March. 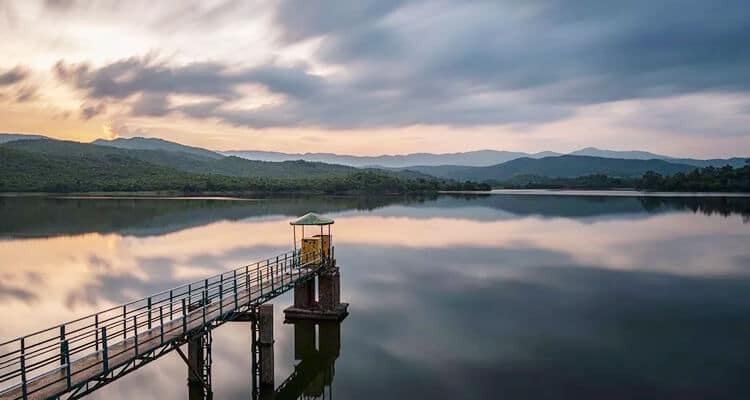 HirekoLale Lake is a beautiful manmade lake surrounded by high mountains. This place can be easily accessed from the town Chikmagalur. The famous Mullayanagari hill can be viewed from here. This lake was built to supply water to Chikmagalur town. As the sun sets down, the saffron color of the sunrays are reflected on the lake, making the place looks very beautiful. Sri Guru Dattatreya Bababudanswamy’s Darga or Dattapeetha is located on the Bababudan hill in Chikmagalur. This is the place for Hindus as well as for Muslims. The cave at Inam Dattatreya Peetha is believed to have sheltered Guru Dattatreya and Hazrat Dada Hayath Mir Khalandar. The site hosts Urs in the month of Rabi-ul-Avval, third month of the Islamic Calendar. Hindu Devotees visit the site during the Karthik Poornima, Dattatreya’s Jayanti. 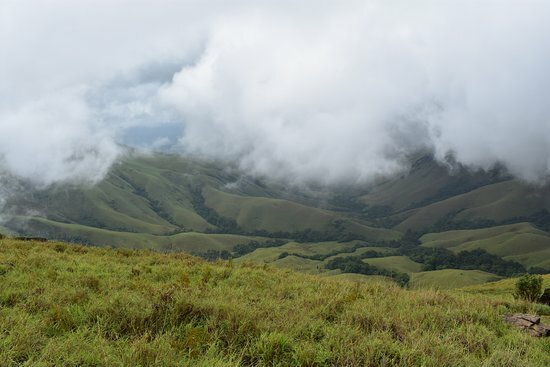 Kudremukh National park is a beautiful place located in the Chikmagalur district. The park stretches between Narshima Parvatha and Jamalabad fort. This park is covered with thick hilly forests. The park is surrounded by tea and coffee plantations. The park has a diverse range of flora and fauna. The park also has various species of birds. Reptiles like snakes and tortoise is also found here. 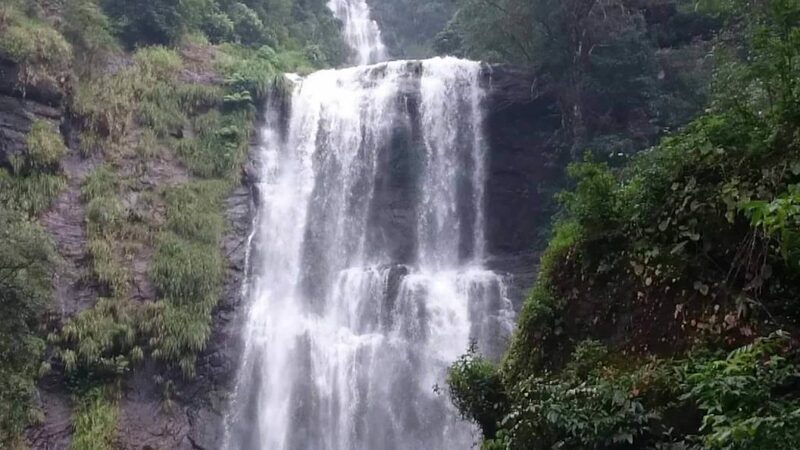 The Kadambi waterfall is one of the major attractions of Kudremukh National park. It is also a trekkers paradise. Trekkers has to get permission from the Range Officers for trekking inside the park. Yagachi Dam is one of the popular tourist attractions. This Dam is built across River Yagachi, a tributary of River Kaveri. This Dam was constructed in 2001. The dam was constructed for the purpose of irrigation and for drinking water. The Yagachi Dam is a popular tourist spot. The natural beauty of landscape mesmerizes visitors. This place is ideal to spend time away from the busy city. Manikyadhara falls is situated in the dense forest of Baba Bundangiri hill, in the western Ghats of India. Manikyadhara which literally means a string of pearls, is the ideal site for both hindus and muslims. There are many shops around the fall that sell herbal medicines. This fall is not get drained during the summer. People believe that taking bath in this fall can cure many ailments. Muslims worshippers have carved out a cave here from where they can collect mud. This mud is supposed to have curative powers to heal many ailments. Though it can be visited throughout the year, October to April is the best time to visit. 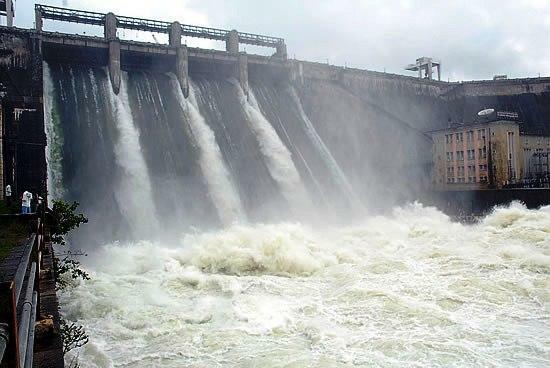 Bhadra Dam is built on the river Bhadra, which is a tributary of the River Tungabhadra. The dam offers wonderful views of the surrounding hills. There are several islands formed by the reservoir. This islands are used as a shelters for migrating birds. Boating facility is available in the reservoir. Water from the dam is used for irrigation. It also provides power to towns and villages nearby. 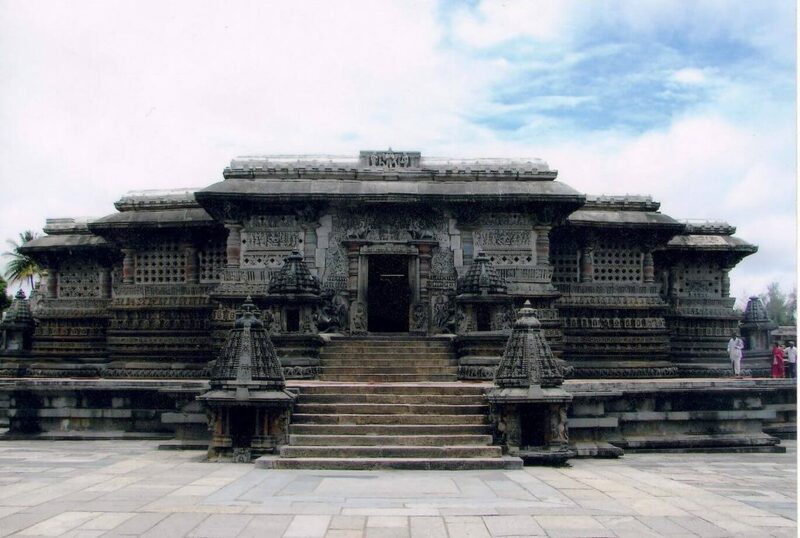 Hoysaleshwara temple is also known as Halebide temple. King Vishnuvardana temple has built this temple. The Hoysaleshwara dedicated to Lord Shiva, is built on a star shaped platform. Hoysaleshwara temple is built in Hoysala style of architecture. This temple is surrounded by ponds, mantapes and lakes. It is known for sculptures and architecture of Hoysala period. It has about thousands of figures on the walls which depict scenes of Mahabharata and Ramayana. There is an image of a dancing Ganesha at the entrance of the temple. The festival of Shivratri is celebrated in this temple in the month of February. Kodanda Ramaswamy is a heritage monument which was completed in 3 phrases. 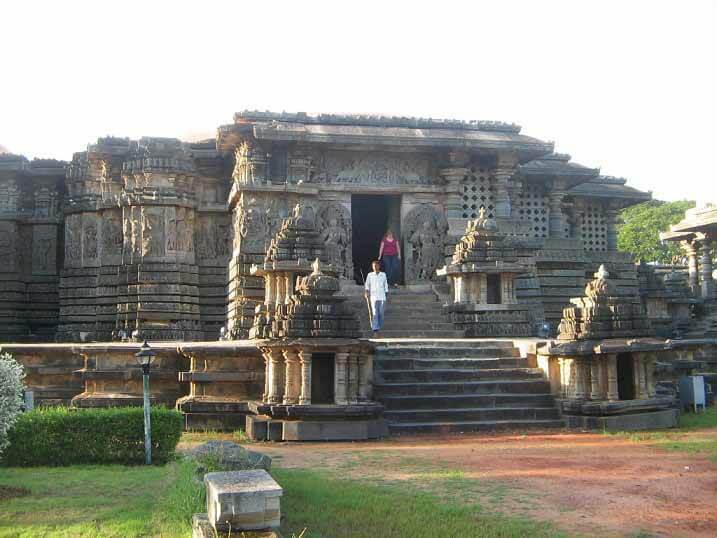 This temple is built in Hoysala style of Architecture. In this temple life-size idols of Lord Rama, his sibling Laxman and Devi Sita are placed in the main sanctum. The Kodandarama temple complex also has many shrines dedicated to various gods like, Yoganaeasimba, Sugriva and Kalinga Mardhana. Shrines are also dedicated to great saints like Ramanujacharya, Madhvacharya, Vedanta Desika and Alwars. The temple hosts an annual festival in the month of February known as “Jatra”. 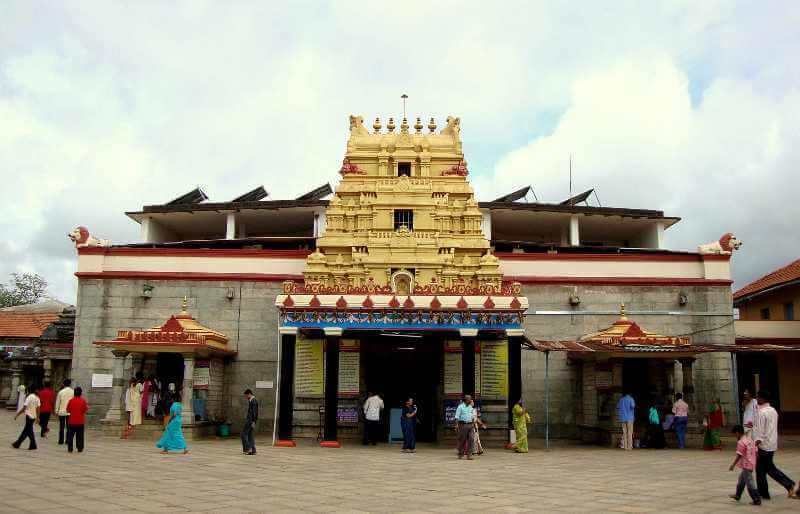 Amruteshwara Temple is located in Amruthapura town, Chikmagalur. Temple was built in 1196. This temple is dedicated to Lord Shiva. Along with the idol of Lord Shiva, an idol of Sharadha Devi is present on its right. Lamp inside this temple has been burning from last 200 years. The temple usually consists of Mantapas with floral designs on the ceiling, pillars, shrines and vimanas. The rows of pillars that support mantapa is a Hoysala-Chalukya decorative idiom. The Ramayana is sculpted on the south side of the wall. 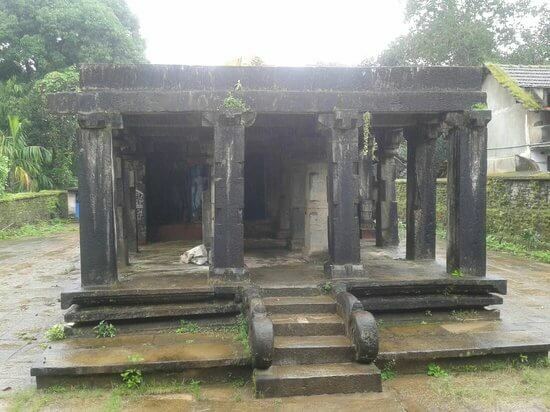 The large stone inscription near the porch contains poems composed by medieval Kannada poet Janna. 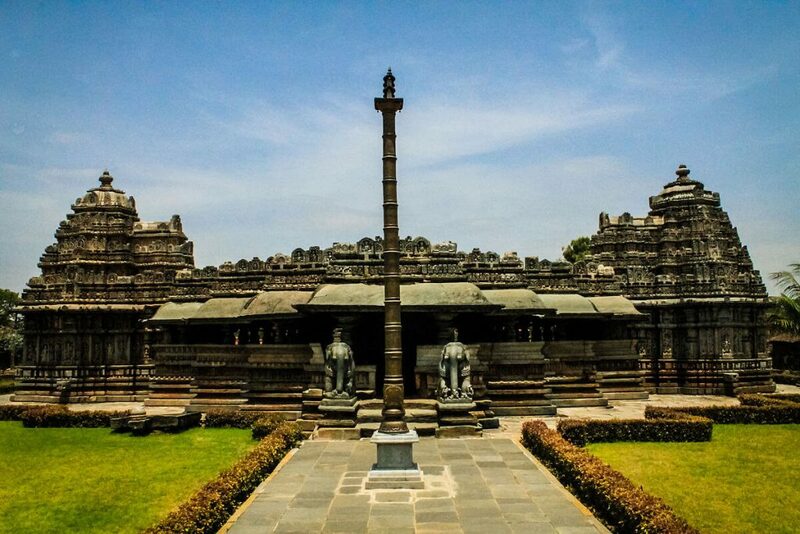 Chennakeshava Temple also called Keshava or Vijayanarayana temple situated at Belur. This temple is dedicated to lord Vishnu. Carvings of elephants, episodes from the Puranas, the Upasnishads and the epics of the Ramayana and Mahabharata draw attention of tourists. Along with the temple, there are several shrines in the rectangular complex called as veranda. On the right of the temple is the Kappe Channigraya temple and the smaller temple dedicated to Lakshmi. On the left one can find the Ranganayaki temple. 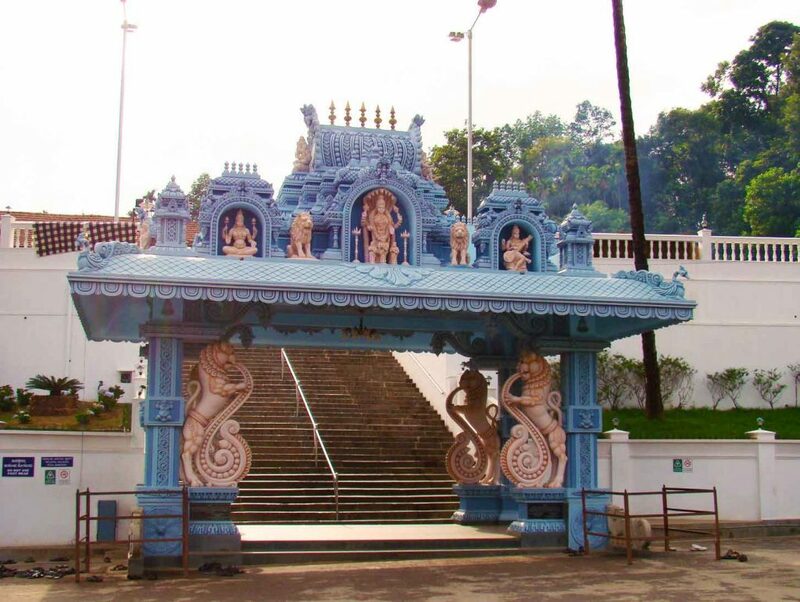 Adhishakthyathmaka Sri Annapoorneshwari Temple is located on the banks of River Bhadra. The twon of Horanadu is aslo popular as “Sri Kshetra Horanadu”. Sri Annapoorneshwari is the Goddess of food. To reach this temple, worshippers have to climb few steps. Mandapam is located on the left-side of the main temple entrance. Adi Sesha surrounds the main sanctum or the Garbhagriha of the temple and the Padma Peeta constitutes of Koorma, Ashtagaja and others. The uniqueness of this temple is everybody who visit this temple are fed and place to sleep in the temple premises. Even Boarding and lodging is provided by the temple trust. 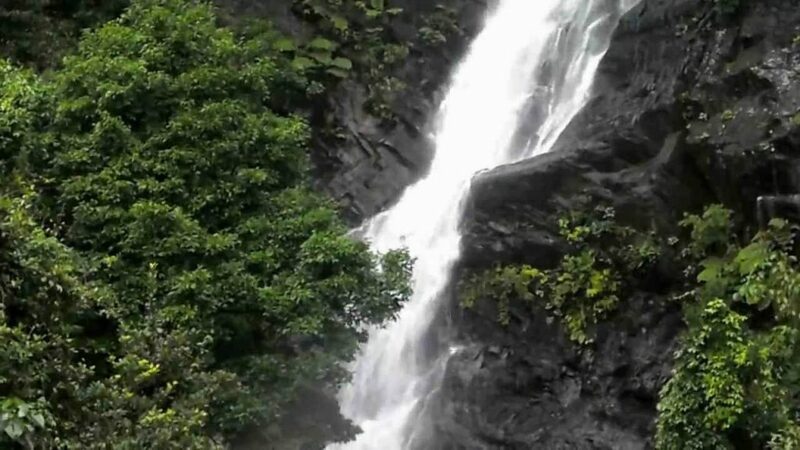 The falls are located inside the Kudremukh national Park in Chikmagalur. The waterfall has a height of about 30 feet. The waterfall can be seen from the bridge situated nearby as the waterfall is very close to the main road between Sringeri and Kudremukh. The adventurous visitors even get down to the waterfall to enjoy the beauty of the surroundings and the water. 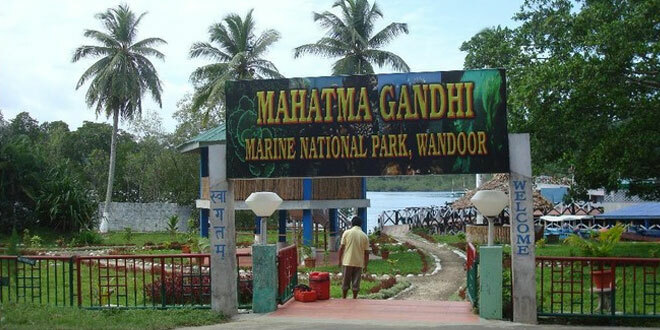 Visitors can visit this fall during monsoon or post-monsoon. There are several other attractions nearby i.e. Kudremukh peak, Kudremukh National Park, Lakhya Dam, Hanuman Gundi falls. Kalhatti Falls is also known as Kalahasti falls. Kalhatti falls are situated in the Chikmagalur district. The location also has the famous Veerabradeshwara Temple which is dedicated to Lord Shiva. The entire area is covered with greenery. 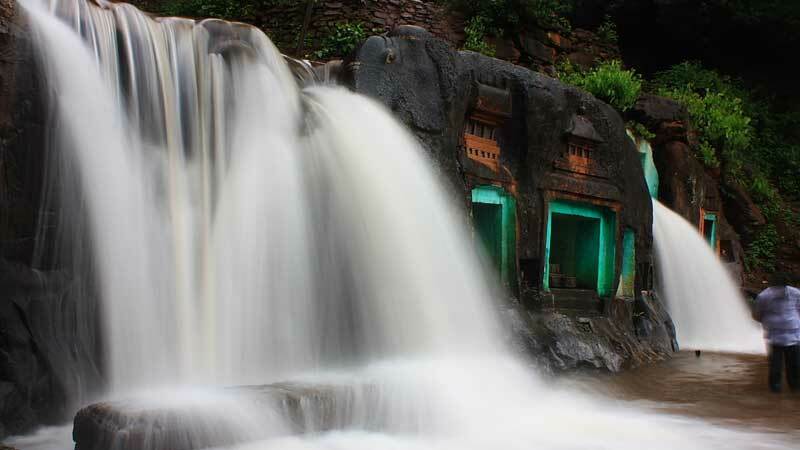 Visitors can also enjoy the view of water pouring down from Chandra Drona hill. Kalhatti is a popular tourist attraction. There are plenty of Cardamom trees. Even one can spot wild animals like bears, elephants and monkeys. 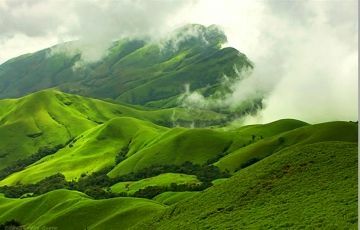 It is located in Chikmagalur district. 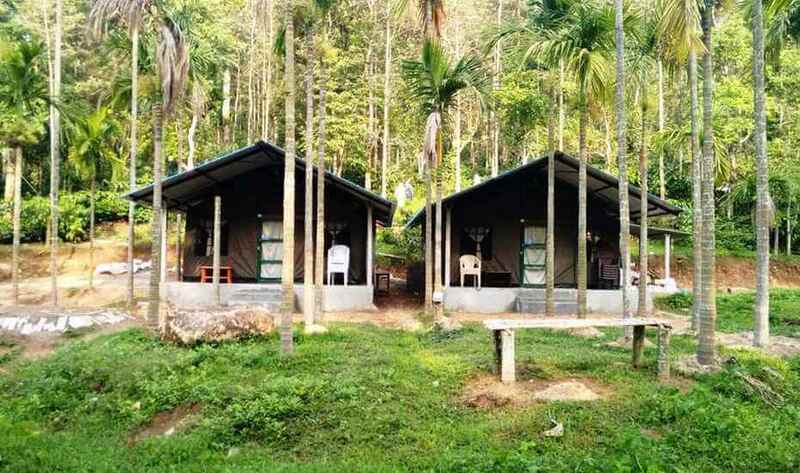 It consists of 2 cottages, made up of tents with all the luxuries. Each tent has bed, wardrobe, desk, makeup mirror and the attached bathroom. Even there is a restaurant available in the premises. This homestay also arranges some outdoor activities like trekking, jeep safaris, river rafting and campfires. They also provide tourists with the transport facility. One can also have a view of mountains. Homestay also provides power backup generator, medical aid and parking space. Sirimane falls is also known as Kigga Falls. Sirimane Falls is located on the Western ghats of Karnataka. This waterfall is surrounded with dense forest all around. One can reach the falls by motorbikes or can hire vehicles. A little walk is required from the parking place to reach the falls. This is a safe place to swim and play in the water. There is a dress changing room for women. Tourist can visit this place throughout the year. The falls are wide. As it has a height of about 40 feet one can enjoy the force of the water. 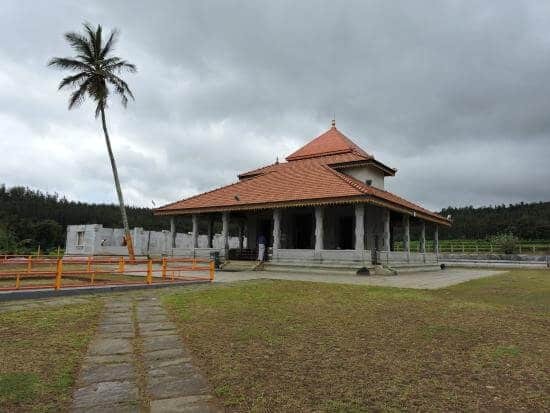 The Veera Narayana temple is located at Belavadi, Chikmagalur. This temple was built in the 13th century by veera ballala II. The material used to build this temple is soapstone. The entrance of this temple is at the center with slanting roofs. The entrance to the temple is majestic and has two carved elephants on either side. This temple has a bell shaped pillars and a decorated roof. This temple has two vimanas, beautifully decorated with various images. This is the only temple which is trikuta and all the three kutas are widely spread across. We can see the beautiful image of Narayana who stands with four hands, holding the Pashankusha in his right hand, gadha in left hand. One can also find Shridevi and Bhoodevi on the either side of Shri Veeranarayana. Z point is a wonderful trekking spot with deep valleys all around amidst thick green surroundings. This trekking trail of 3km begins from Kemmanagundi Raj Bhavan and into the thick forest across Shanti falls. 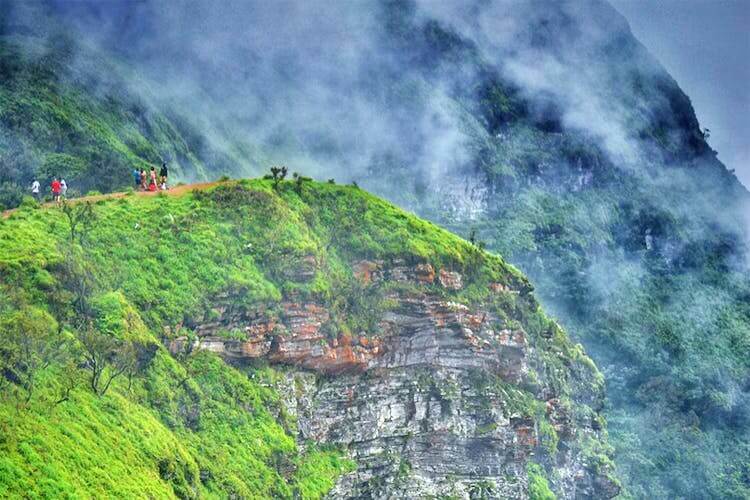 The trek provides beautiful views of the hills of Kemmanagundi. The Z point provides a great sunset and sunrise point. Torana Ganpati is situated on the back side of Sringeri in Chikmagalur. Torana Ganpati Temple is dedicated to Lord Ganesha. The pasukaas of Vriddha Narasimba Bharati Swamy are the attractions of this temple. Coconut and modaks of sugar and jiggery are the offerings made to the deity. On the day of Chaturthi and on every Tuesday special prayers and rituals are performed. 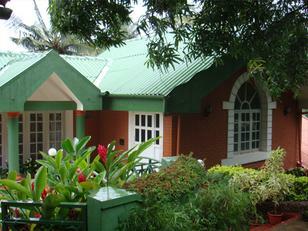 Java Rain Resort is set midst an active coffee plantation, in Chikmagalur. Java Rain resort is a luxury resort. Java Rain has 21 villas. Each villa consists of bathroom, TV, mini-bar, personal safe and temperature control system. In addition to this, daily housekeeping, laundry and security, room service are also provided. This resort also has dining area, business center, library, 24- hour front desk. This resort has a swimming pool along with a toddler’s pool and a fully-equipped spa center. 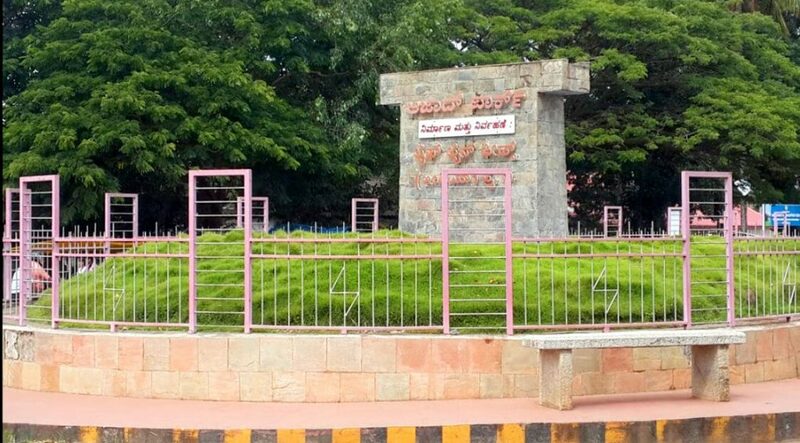 Azaad Park is located at Belur Road, Chikmagalur. This is famous circle which includes small garden and fountain. This place is best for hangout for both younger children and older people. Local peoples come here for having good time with their friends and family. This place is surrounded by Government hospital, School, PU college and PWD. Near to this park food street is there. One can enjoy the variety of snacks here. Azad Maidan is very close to KSRTC bus stop. 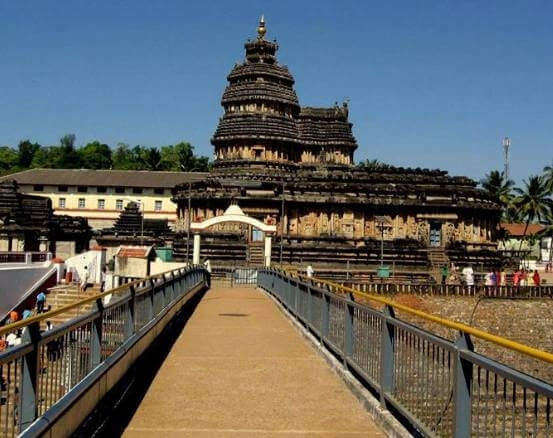 Sri Parsawanath Tirthankara Temple is situated at Sringeri. The temple is situated in the backdrop of the Western Ghats and the Tunga River. It is a Jain Pilgrimage. The temple architecture has both south Indian and Jain styles. The temple is dedicated to 23rd Tirthankara, Sri Paraswanath Tirthankara. The temple has a mandapa. Near this pilgrimage one can see old caves which have been used by the Jain Saints to meditate. Deviramma Temple is located at the top of Deviramma Betta. It belongs to the Chandra Drona parvata of Mullayanagiri hill range. Diwali festival is celebrated in this temple. During this occasion the whole temple is decked up with oil lamps and at night the sight is absolutely mesmerizing. Lakhs of people trek to this temple. Calm weather and beautiful landscape attract thousands of pilgrimages. Nesting Grounds is an excellent Homestay placed right on the top of a hill situated in the interiors of the coffee plantation region of western Ghats in Chikmagalur. This homestay is surrounded by coffee estates. Here you can smell the fragrance of flowers, taste the coffee grown here. You can go for a walk and can enjoy the greenery around. 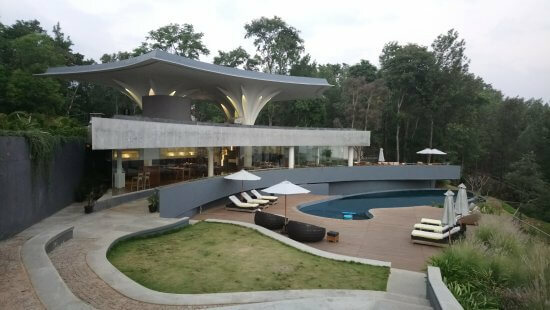 Nesting Grounds has an array of activities that one can look forward to some of which into the coffee estate, trekking, a drive to tourist spots like hills, historical temples, Hallebedu, Sringeri etc. The VidyaShankara temple is situated on the banks of Bhadra in the holy town of sringeri, in the Chikmagalur district. This was established by Adi Shankara. 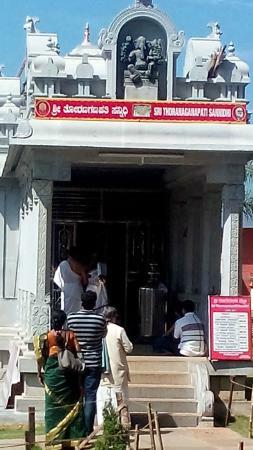 One of the highlighting feature of the temple is Mahadwara(entrance). In the premises along with the temple there is also a sacred pond known as Pancha Theerthas. The temple is built in Hoysala style. The pillars of this temple is carved with the symbols of 12 zodiacs. This is one of the famous temple. It also has a Nehru Rose garden with more than 250 varieties of Rose plants. The toy train named Rathnagiri express that takes 1km round of the garden. The beautiful lotus pond with a number of lotus flowers floating on the water. Ballalarayana Durga fort is situated in Bettabalige, in the midst of the Chikmagalur Kottegehara Village. 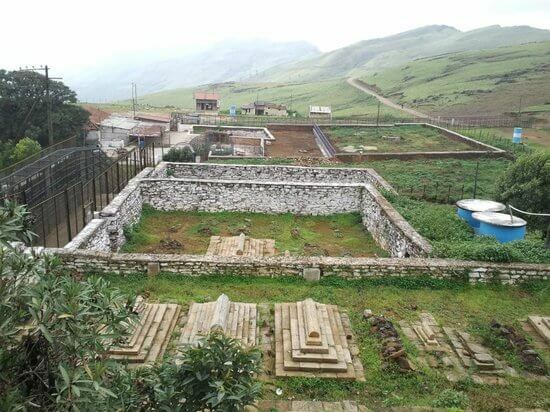 The Ballalarayana Durga fort was constructed by the wife of Veera Ballala I. The fort was built in the Karnata Dravida style of architecture. The Ballalarayana Durga is ideal for watching amazing sunset. The Durga fort is famous for trekking. One can have a view of tall mountains, deep valley, forest, greenery, fog and clouds from this fantastic place. 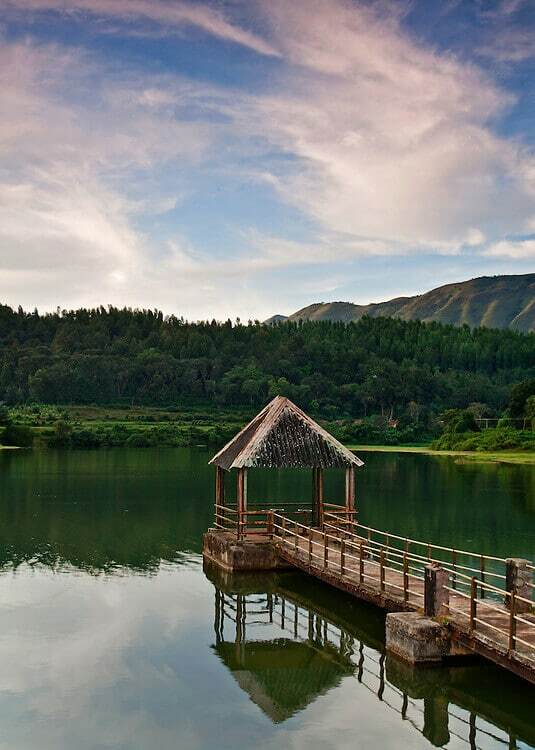 Galikere lake is set in the midst of the high altitude mountains and is bounded by verdant trees. Galikere lake is located 1km from Bababunadngiri hill. Galikere lake is very close to Darga and is called Manasarovar of Karnataka. It is a beautiful lake surrounded by high hills. Galikere lake means windy pond. Tourists can visit this place in the evening and can watch the beautiful sunset. Mountain Valley Chikmagalur is a premium accommodation alternative. Mountain Valley homestay offers 6-room accommodation. The rooms have TV, dining area and a trouser press. There is kitchen and a bathroom with a bath and shower. An outdoor swimming pool is available for guests. This villa provides 24-hour desk and room services. This Valley provides a parking area. This place also has a beautiful garden so that the guests can an awesome evening. Mullayanagiri peak is located at Baba Budan Giri Range of Western Ghats. It is the highest peak between Himalayas and Nilgiris. This peak is adorned with verdant grassland and rugged rocks. Mullayanagiri is also known for coffee plantation. The peak got its name from a small temple, Tapasvi Mullappa swamy. Mullayanagiri is meant for the trekkers as this destination is adorned with perfect trek trail. The trek begins from Sarpadaari. You can explore the small caves which are located just below the peak. There is a temple of Lord Shiva on the hilltop. Lakya Dam is located in Chikmagalur. The dam was constructed by Kudremukh iron ore company. The construction was completed in the year 1994. The dam is situated in a protected area inside the Kudremukh National Park. The main purpose behind building this dam is to collect silt and other waste materials from the mining industries. The dam also used as a source for irrigation in Kudremukh. Visitors can enjoy the beauty of this dam. 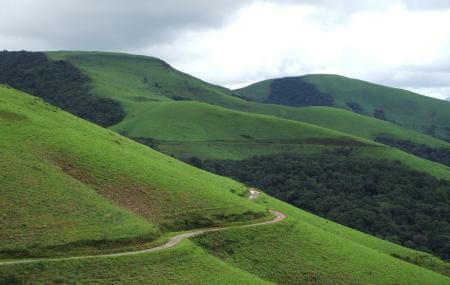 The dam area offers some of the beautiful views of the Kudremukh forest area. An evening walk near this dam offers a wonderful experience.